"To create a culture mantle with values, beliefs and norms relevant to the society and environment demand of the 21st century through equipping the students with best IT management skills, professional skills and education value based knowledge." "One can only be proud of Maharishi Shiksha Sansthan which has proven to be the guiding light of higher education in the world." "The economy of any country and the wealth of any individual depend on the efficiency of business management and public administration. The genius of the Indian mind is recognized worldwide. With proper training Indian leadership in business management and public administration will succeed in creating a stable, prosperous national economy as an example for the world to follow. 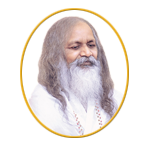 The Maharishi Shiksha Sansthan is designed to achieve this goal."